When you have a kid, don't call it something stupid. Don't call it Apple, or Pear, or Mung Bean. This book is the perfect accompaniment to Winter. Snuggle up in the warmth as the frosty world creeps around outside, creating beautiful patterns as it takes hold of the scenery. Get lost in an unusual and unique twist to the story of Jack Frost. Owl is a brilliant protagonist. In the beginning, she doesn't realise she is different. On meeting Alberic, she starts to see that she has more in common with him than she does her best friend, Mallory. Her body starts to do strange things and she soon realises it has something to do with the mystery surrounding her father. When she discovers who her father is, everything begins to make sense and you are quickly invested in Owl's journey. Forget that Owl's birthright is impossible and pure fantasy, because the author makes it real and completely believable. I love how this book dips into the fae world and the personification of the elements and seasons. The scene where Jack Frost and the North Wind, messing around, is ingenious. I think the author has worked extremely well at bringing them alive. I love the connection to the Owl, which at first appears to be such a trivial name to be given, but turns out to have so much more meaning. I really enjoyed reading this book. It sucked me into the storyline and I felt invested in Owl's quest to clear her father's name. The writing is beautiful, especially the fairytale snippets which show the journey Owl's mum took. Even though this book is set in the world of Jack Frost, Amy Wilson's writing is brimming with warmth. 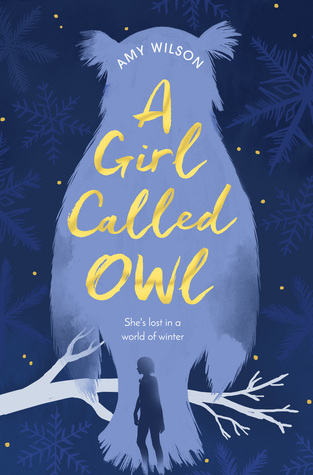 A Girl Called Owl would suit readers who love Emma Carroll & Katherine Rundell. I'm intrigued to see what her next book will be about.